Modern society disregards any absolute standard and leads many young people into relationships that are undefined, unhealthy, or just plain complicated. Young men and women looking for love amid the relative opinions of popular culture often only find themselves struggling with devastating consequences and the heartache of relationship splits. 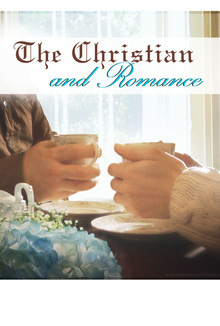 Stuart Burgess conveys the importance of upholding Biblical standards and addresses key questions to help the Christian follow God’s design for romance. He has been the chairman of a university department with over six hundred students, as well as, a church pastor. Many Christians have messed up in the area of romance, but it is never too late to seek purity and honor marriage.